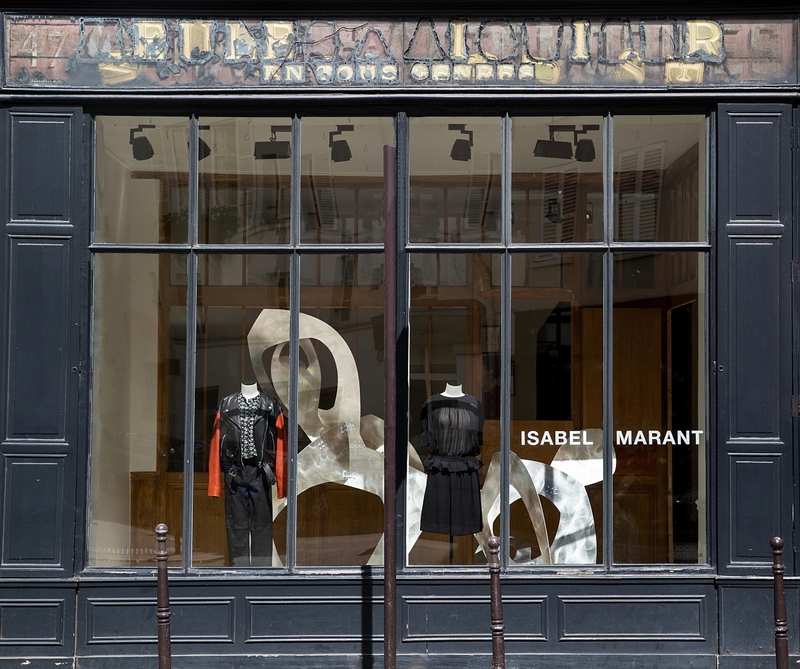 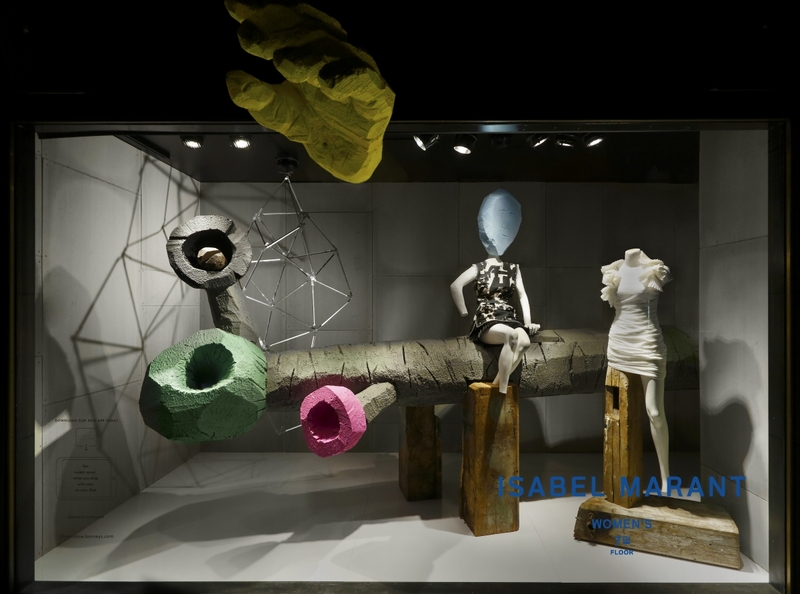 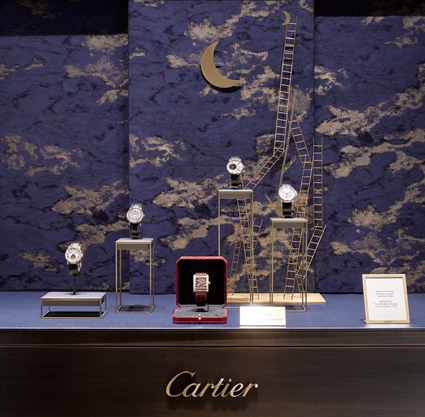 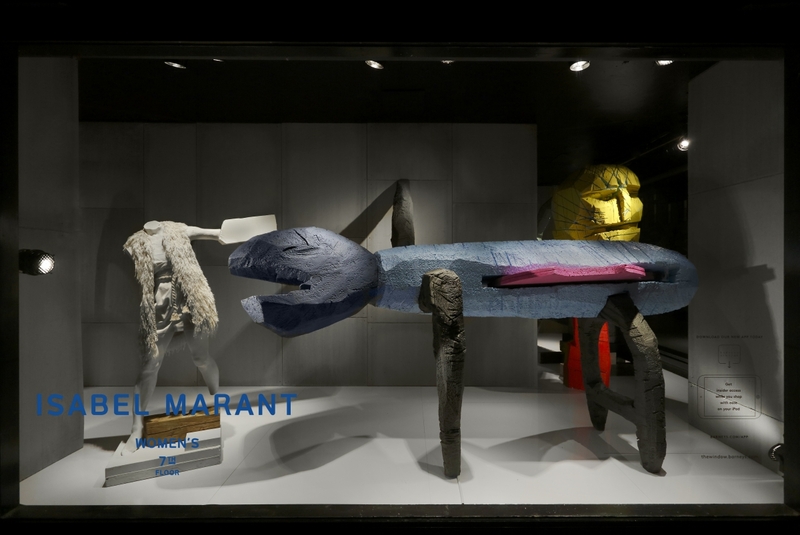 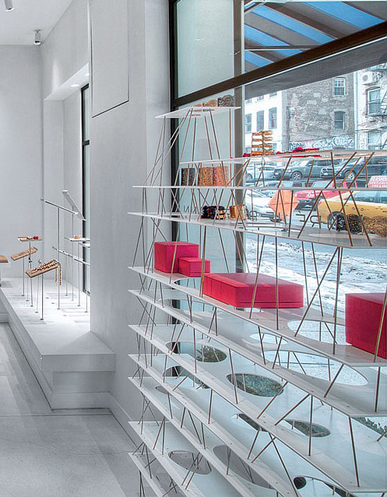 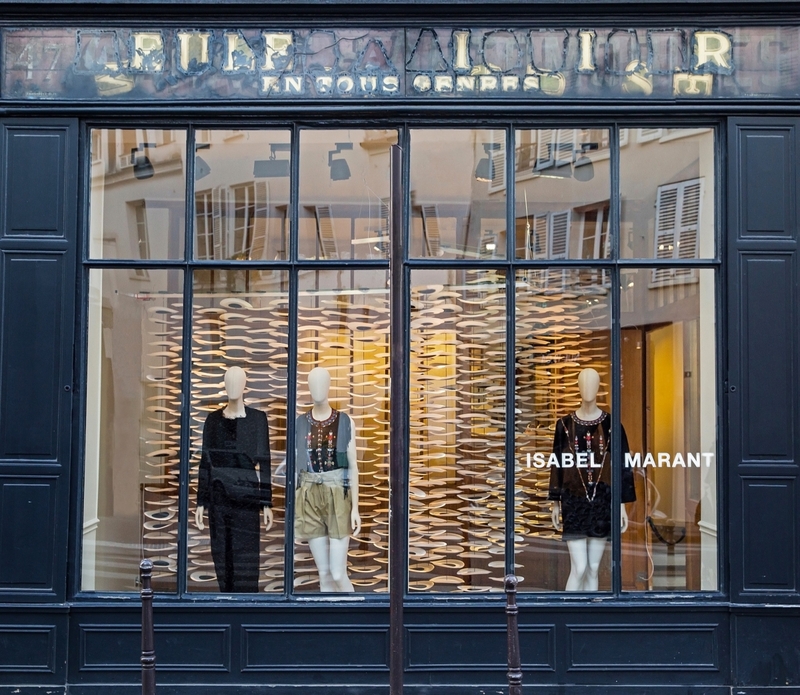 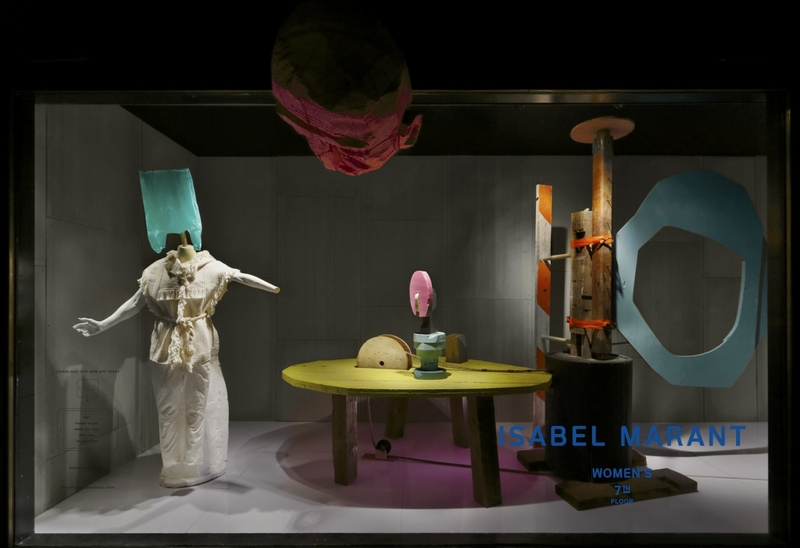 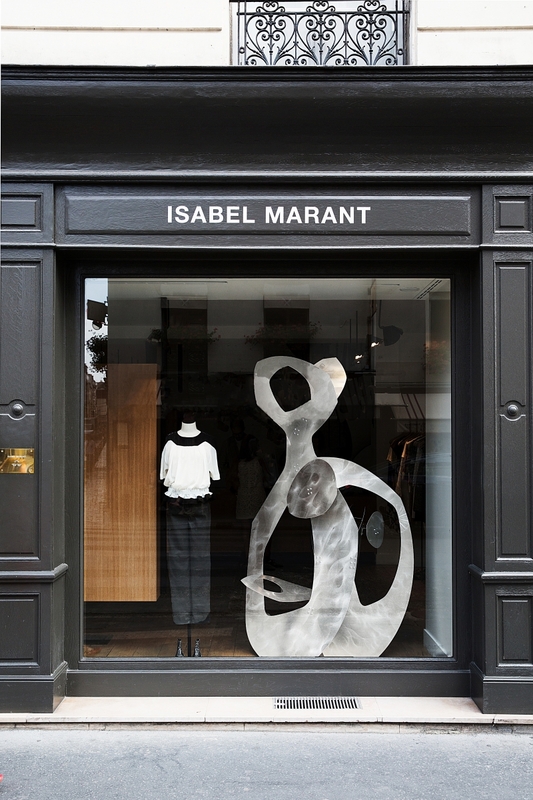 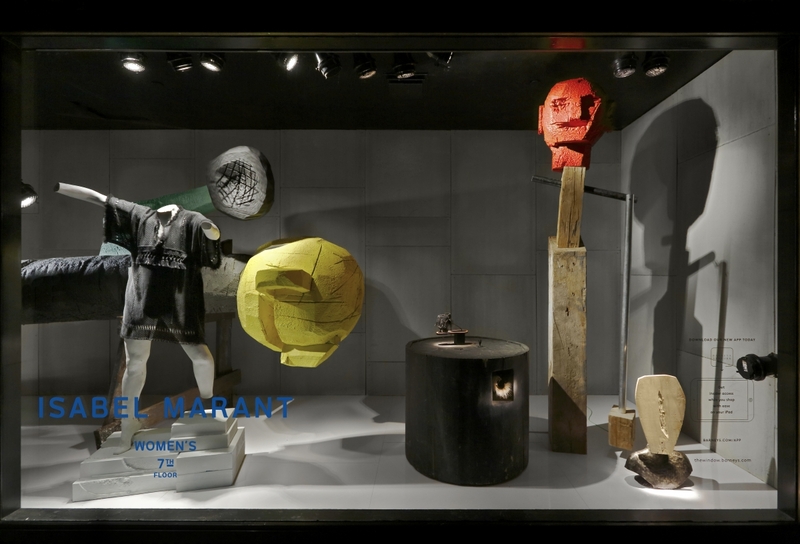 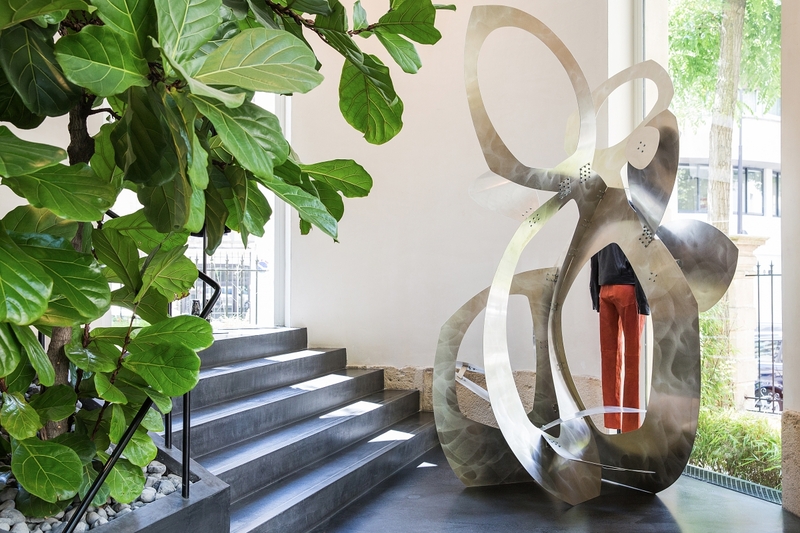 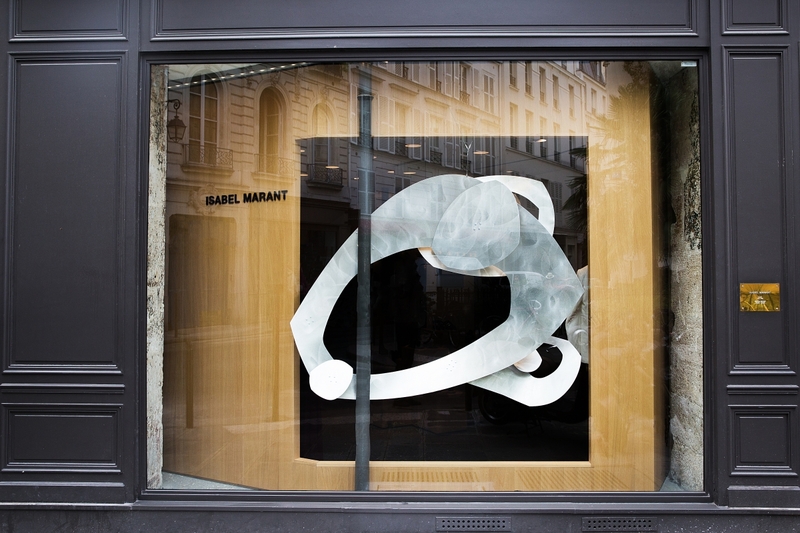 18 unique installations made for all Isabel Marant's store around the world. 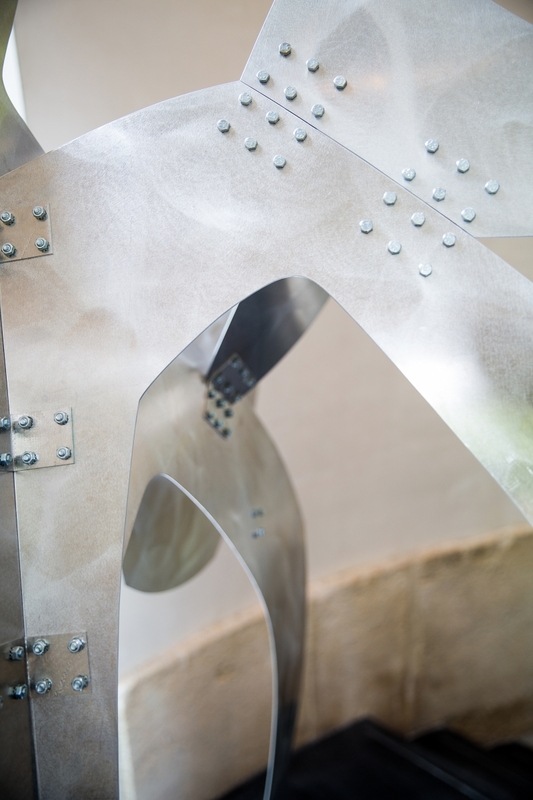 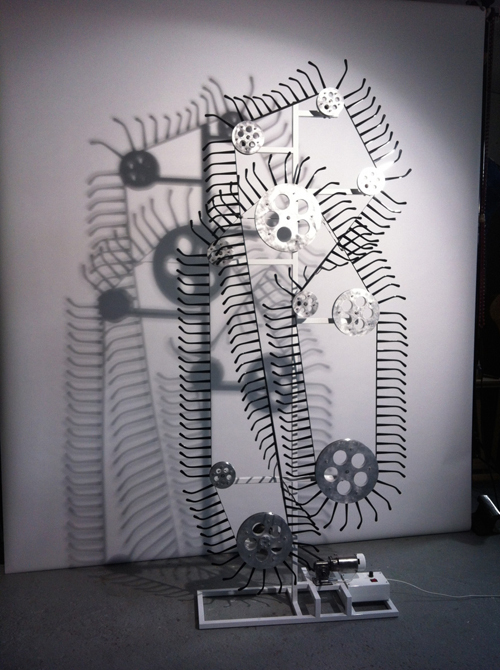 11 000 painted paper plates , aluminum structure, motor, carbon tube. 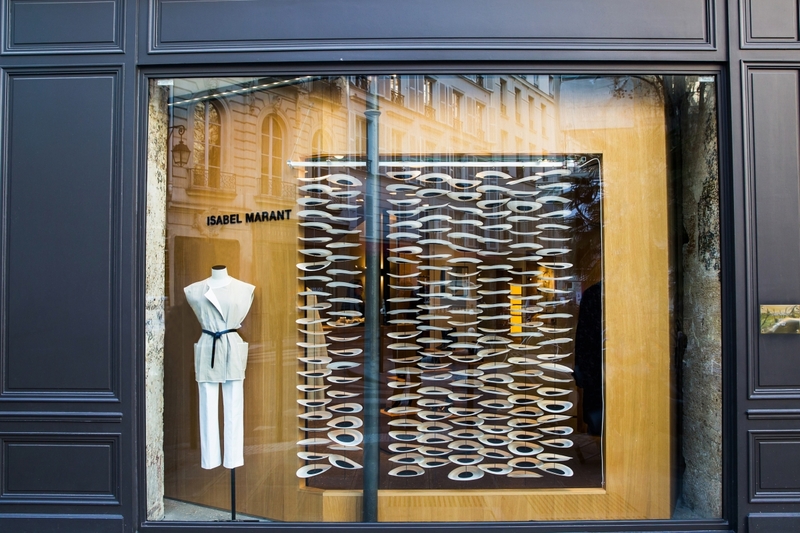 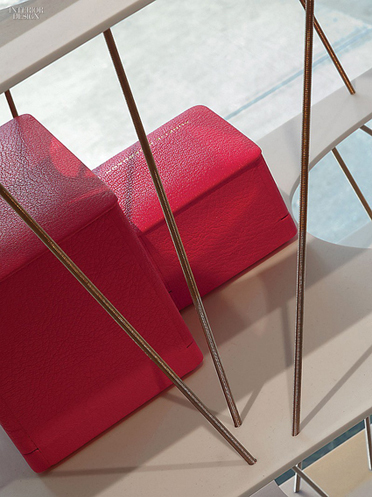 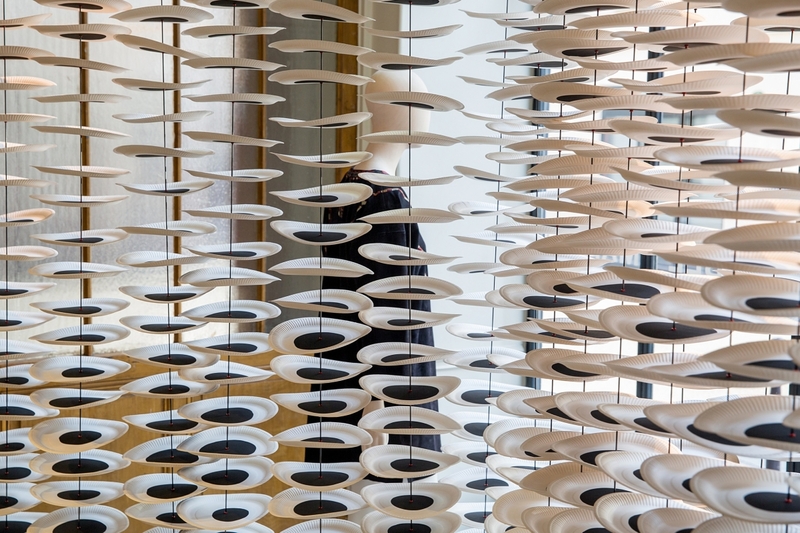 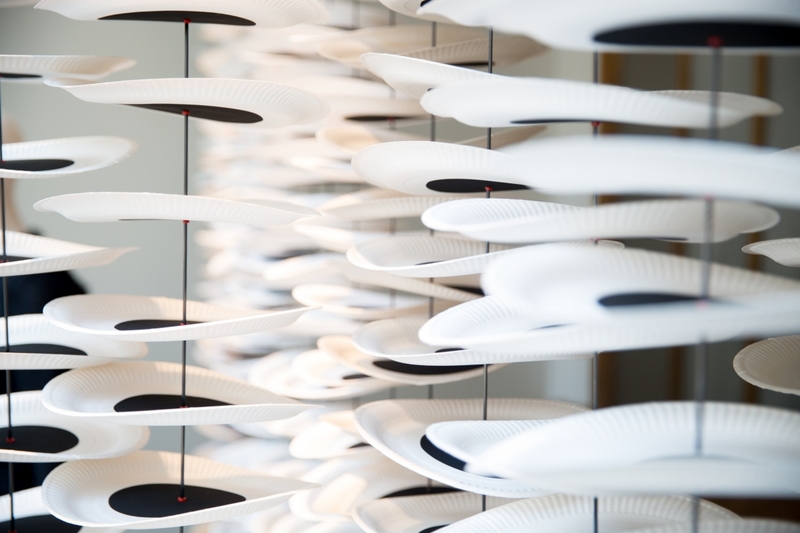 Kinetic sculpture for Sensee glasses, Paris and Marseille. 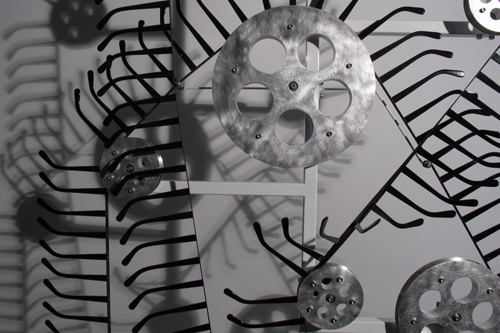 197 glasses arm's mounted on a belt, electric motor. 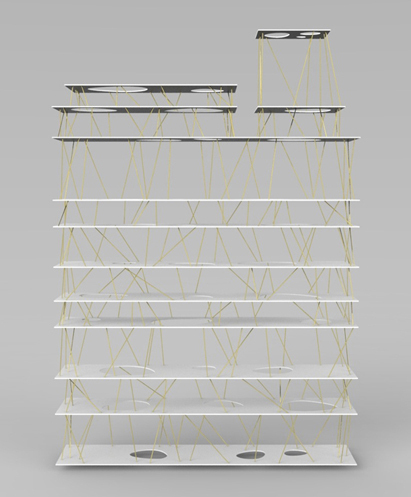 Installation for New York shop, made of brass threaded rod and Corian.